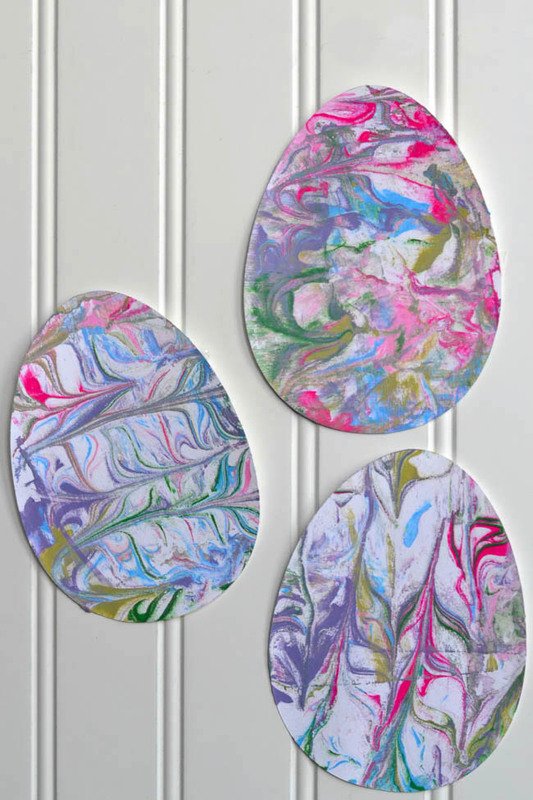 These Shaving Cream Painted Easter Eggs are such a fun and easy sensory Easter Craft for the kiddos! Hi there! 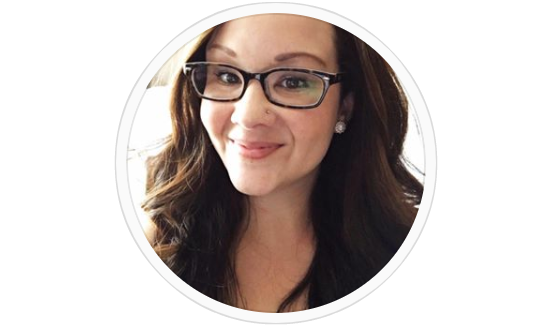 It’s Kelly from Typically Simple. 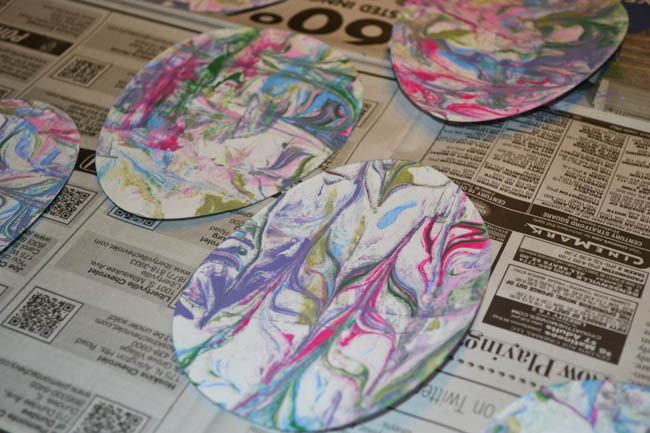 I’m so excited to be sharing a super fun kids’ craft with you all today! 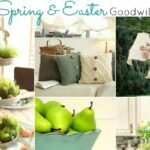 After what has felt like one of the longest winters ever (and yes I did say that last winter, too) I am so ready for bright, spring colors. And these Shaving Cream Painted Easter Eggs are perfect for adding some pops of color to these dreary last few days of winter. 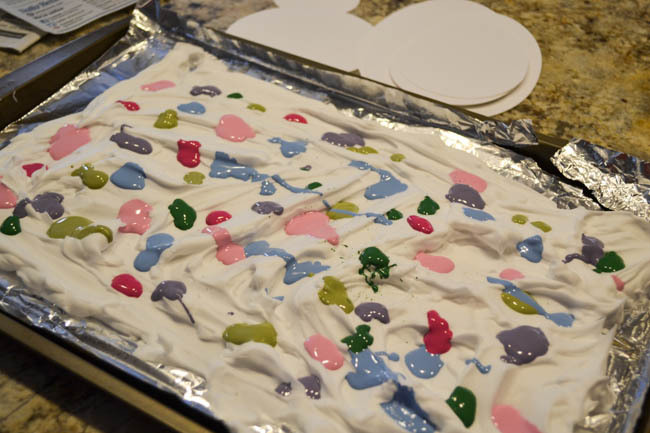 If your kids love getting a little messy, then this is a craft they are sure to love. 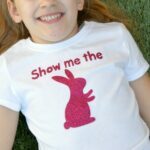 And it’s easy to personalized for different seasons and holidays. Since my little guy is a bit too young for this craft, I made it myself and even though it’s meant for kids, I loved making it! 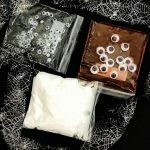 I already have a few ideas brewing of how I can use this technique on a few other craft projects I have planned for spring. I knew I wanted to make Easter eggs to hang up around the house, so using my trusty Silhouette Cameo, I cut out a bunch of different sized eggs from card stock. You could also print out templates of shapes and have the kids practice their tracing and cutting skills! To get started with the messy part, spray some shaving cream onto your tray and spread it around. I actually used a cookie sheet covered in tin foil which made for a much easier clean-up! Next take the paint and squirt it all over the shaving cream. I used acrylic paint, but washable tempera paint should also work. I did blobs of paint throughout, but the kiddos could also make lines, squiggles, anything they want really, with the paint. Now for the fun part! 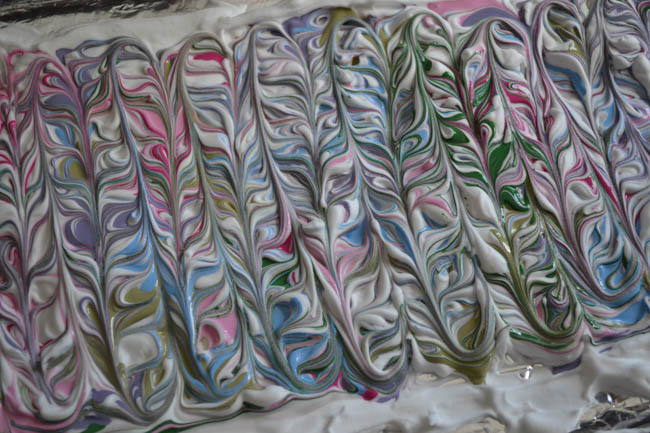 Using the pointy end of a paint brush, drag it through the shaving cream and paint making straight lines back and forth. Then do it again, but this time go up and down. The shaving cream will start to get a marbleized look to it. And this would be a fun time for the kids to experiment with different tools, like a fork or toothpick. This next step gets a little messy and the younger kiddos might need a little help, but it’s what makes this whole craft project! Take one of your paper shapes and placed it on top of the shaving cream, applying a little bit of pressure so it smooshes into the shaving cream and paint. Then pull it up and put it in a safe place to sit for a few minutes. Using some sort of scraping tool (I used an old gift card) scrape all of the shaving cream off of the paper. 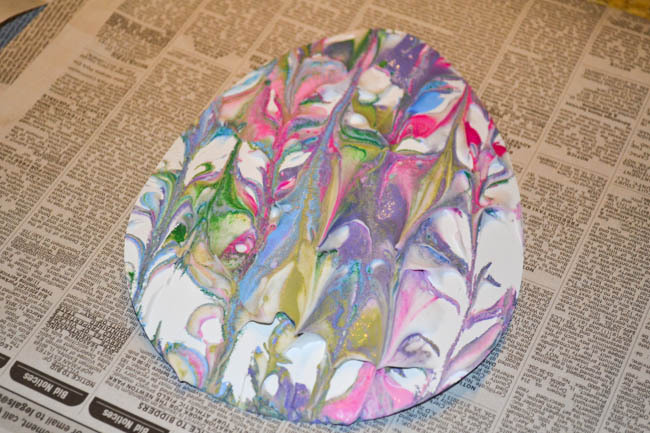 Let the paint dry for a bit and then your project will be ready to be put on display! So much fun, right? 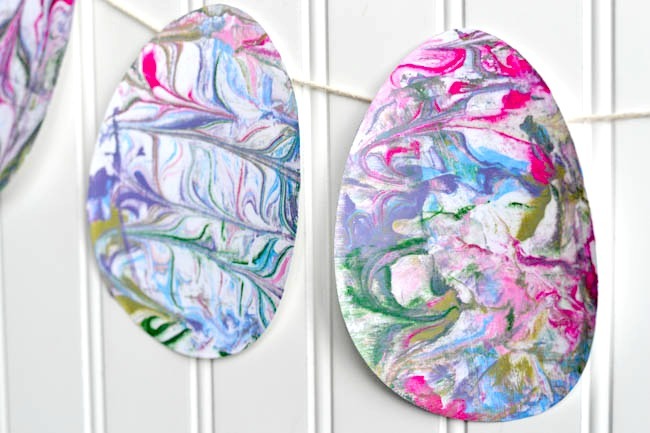 The kids will definitely love using the shaving cream to paint their paper eggs. And I bet they would enjoy experimenting with different colors and how they swirl the paint on the shaving cream. There are just so many possibilities with this craft! 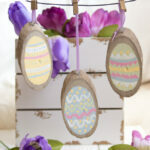 Hope you love our Shaving Cream Painted Easter Eggs and that you’ll give them a try too! White Cardstock: Always great to have on hand for kids crafts and more! These are great sets and affordable too. Scented Shaving Cream: Why not make the project a little more enjoyable with scented shaving cream! Or the dollar store version works too. Multipurpose Scissors: I always suggest to have great scissors on hand, and this set is my favorite! My two year old will LOVE this! What a fun idea!! This would be a great craft idea for teachers to do too. Heck, I want to do this myself!! 🙂 Happy Easter friend! I just tried this… when you say scrape off the shaving cream, it seems to just muck up the pretty paint pattern. Do you let it dry and then scrape off? Still in drying mode right now! Thanks! Hi Angela! You let the shaving cream sit for a few minutes first then scrape it off. At this point the pattern should be set on the paper and if you scrape quickly it should be fine. Let us know if this helps!